The representative of private forest owners talked about tax incentives and other initiatives for the revitalization of the mountains. 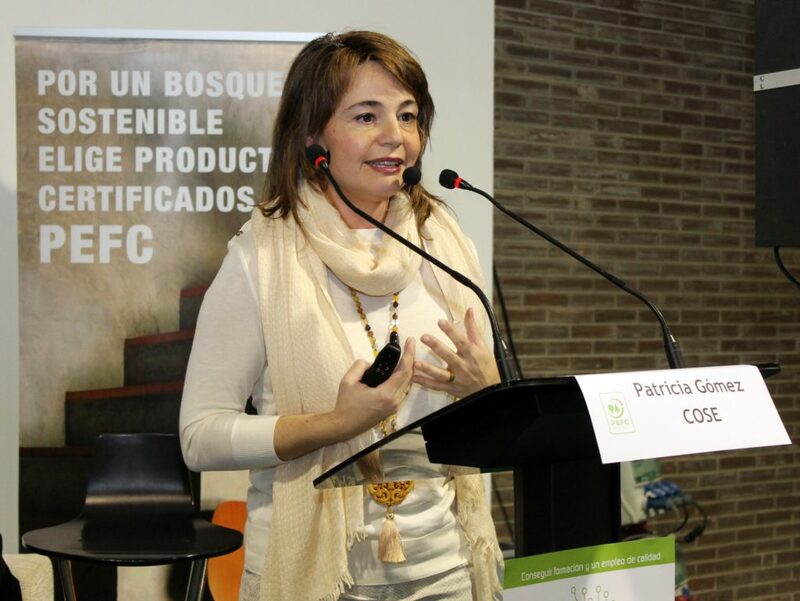 As part of the fair Maderalia, Patricia Gómez Agrela, manager de THINGS (Confederation of Forest Owners of Spain), He offered a lecture entitled: "Measures for the dynamic management of Mt. : Taxation and other aspects ", in which he stressed the importance of society to recognize the work of those who manage these territories. Everyone knows what a farmer and a rancher but ... you know what a forester? Being more than twice that farmers in number and occupying 67% the Spanish forest area, this word is not in the current Spanish legislation. "We lack a definition for this group of great importance for their work to care for and maintain the forests through forest management that perform I claim the rapporteur. Our motto is to manage to preserve ". "The forestry sector is strategic, because the mountains can provide answers to many needs of today's society, such as climate change, drought, fires and rural depopulation. We are the key to generating economy in rural areas but, for it, we believe it is necessary to put in asset value figure forester, que se diseñen políticas con visión integradora del territorio y se apliquen medidas eficaces con dotación económica suficiente”, COSE qualified the manager. We are rich in land and resources. More than one 50% of territory occupied by Mt., Spain is a forest country, but that enormous potential is underused. Wood stocks on Mount rise above 50 million cubic meters per year and each year progresses forest area around the 190.000 hectares. However, wood is not cut and accumulates in our mountains, along with many other resources. “Necesitamos políticas de compras responsable y medidas que promuevan el consumo de productos forestales provenientes de bosques gestionados de forma sostenible –afirmó Patricia Gómez-. It is much better to buy a wooden chair a plastic, for example, because if the wood is local (resource proximity) we are helping to create jobs in rural areas and to use the mountain, which would avoid abandonment (risk of fires and pests) and we would have forests in better condition ". In his view "we must stop seeing the mountain as a museum and discover it as an economic engine and source Manageable resources (They not exhausted because planned and are constantly growing)". Many municipalities could get rich forest exploitation of their forests. In Europe we are the second largest forest area just behind Sweden. However, "The level of use is much lower than the production of our forests and reverse this trend is crucial for rural areas". On the other hand, Forests play an important role in mitigating, adaptation and planning of future scenarios to climate change. Its capacity as carbon sinks is essential for the survival of the planet. As renewable resources factory, It is crucial for the decarbonization of the economy and to move towards the bioeconomy; that whose products are of natural origin, and gradually replacing the fossil or in highly polluting manufacturing process or processing. In this sense the energy use of forest biomass is essential to reduce the fuel load our mountains (there is a large stock of carbon) and generate business development while we prevent fires. 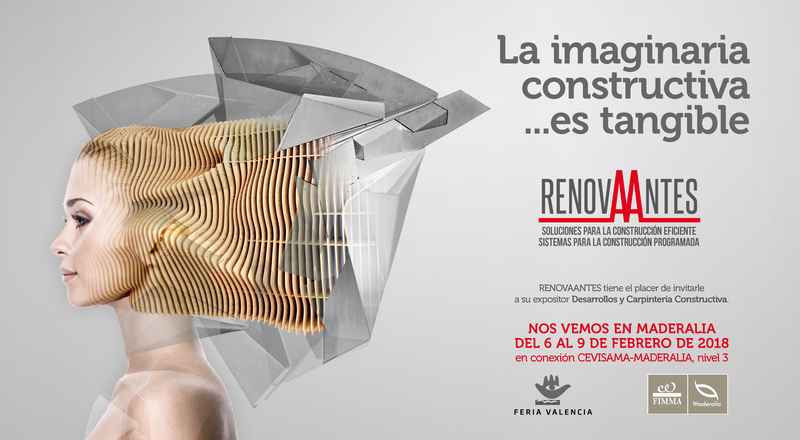 "The green building will help us to have wooden houses more energy efficient, warmer and healthier than those built with cement and brick, allowing new designs with less visual and environmental impact ". Tax incentives are the most effective tool to stimulate activity and attract investment, "That is why we defend our proposal and implementation of deductions on corporate income tax or personal income tax for productive investments or actions considered of general interest in the mountains, holders of forest farms in direct estimation (provided that in both cases have an Instrument of Forest Planning approved by the competent authority in the matter), and the elimination of exclusion of objective assessment scheme in income tax for forest owners to engage in other economic activities under direct estimation ", said Patricia Gomez. The economic impact would be for public administration implementing these measures bonus would be a positive return for the public coffers, income via personal income tax for new hires, IS and VAT increase revenue by generating more activity, social security contributions and savings on unemployment benefits. All this in addition to the environmental benefits generated for society, because a well maintained forest (which it is what encourages the tax package proposed) It reduces the risk of fire and thus minimize the economic costs of extinction. also it reduces the risk of pests and diseases, the environment favors the development of complementary economic activities in forestry and economic exploitation in tourism around him (Accommodation Services, Hospitality, and other ancillary tourist activities), whose tax revenues will increase by doing activities. COSE is the Confederation of Forest Owners of Spain. A non-profit statewide over 30 years of work in promoting forest partnership and commitment to sustainable management of forests. He was committed to bring together foresters throughout the Spanish territory to the need to be organized and be able to respond to the great challenges of forest policy and society today. Today is recognized as a valid interlocutor and gives representation to 67% the Spanish forest area involving private property (which is, 2/3 forest area is private and 1/3 remaining is public). The main purpose of COSE is to promote sustainable development of forest ecosystems so that they produce a continuous benefit to present generations, provided that their potential is maintained to meet the needs and aspirations of future generations, prevent pollution and promote the participation of society in protecting the natural environment and biodiversity. "The forestry association is necessary for the structuring of forest land", COSE concluded manager.